Join us at one of our events to learn more about California FreshWorks and the way in which the program pairs financing with tools and services that help enterprises overcome barriers to financing and build their capacity to sustain a successful business. 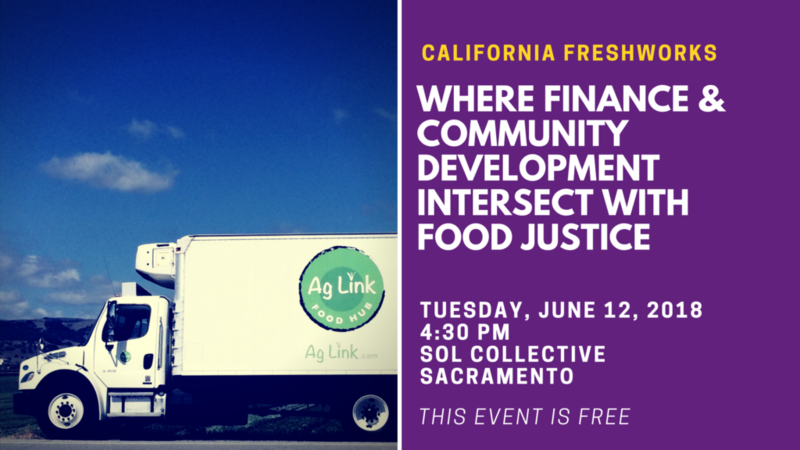 At our Sacramento panel we will highlight Ag Link, a Ballico-based business that serves as a hub connecting Central California farm and food producers with school districts to create healthier school meal programs. With FreshWorks investment and support, Ag Link was able to increase their capacity, resulting in the ability to leverage new partnerships for increased impact. 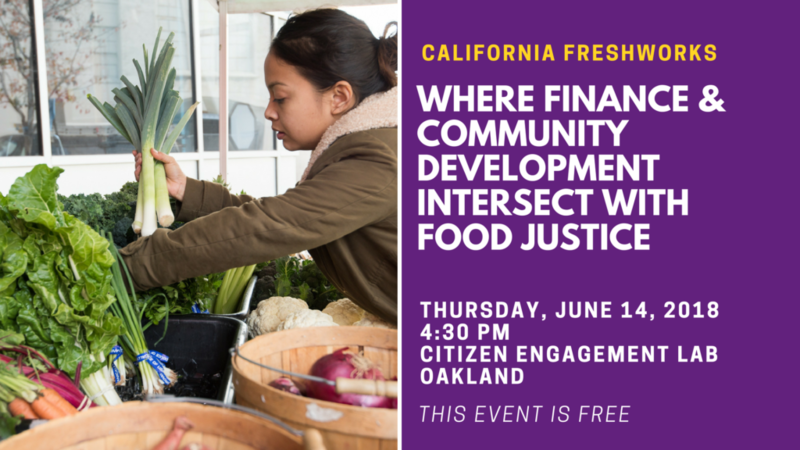 At our Oakland panel we will highlight two of West Oakland’s community-based markets: Community Foods Market and Mandela Marketplace. Both groups are working to make positive social impacts in West Oakland, a frontline community that experiences significant barriers to accessing public health, economic, and social opportunities. 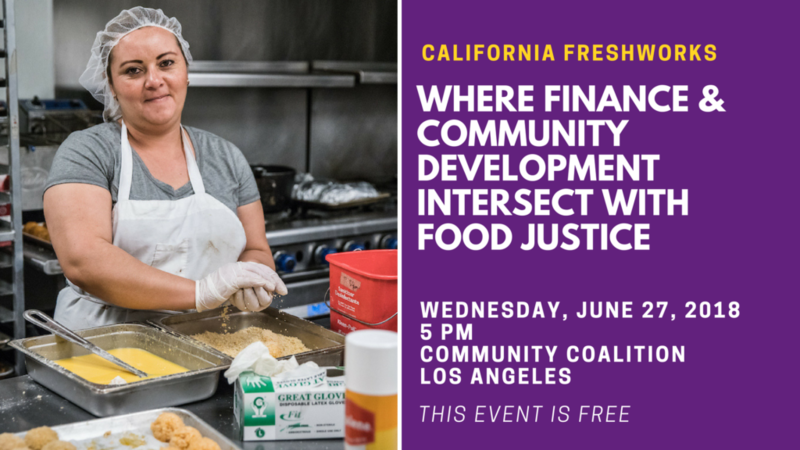 At our Los Angeles panel we will highlight two organizations working to increase access to healthy foods and promote economic development throughout Los Angeles: L.A. Prep andCommunity Services Unlimited. L.A. Prep is a kitchen facility where small food enterprises spend their time making good food and scaling their businesses without having to be experts in health code and real estate finance. Based in South Central Los Angeles, Community Services Unlimited fosters the creation of communities actively working to address inequalities and systemic barriers that make sustainable communities and self-reliant life-styles unattainable. 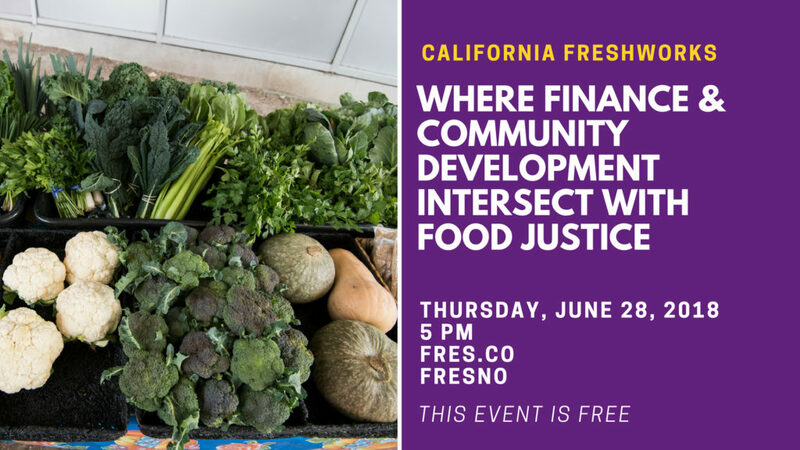 At our Fresno panel will highlight two organizations working to increase food access in the area: Cultiva La Salud and Self-Help Enterprises. Cultiva creates health equity throughout the San Joaquin Valley by fostering changes in communities that support healthy eating and active living. Visalia-based Self-Help Enterprises is a community development organization that works with low-income communities to build and sustain healthy homes and communities.